Retro Flash Games - The retro flash games collection. We started this website because we just love to play retro games online. We collected the just retro arcade games to entertain ourselves and our visitors. If you have a retro arcade video game you want to plat just mail us and we will add this game. 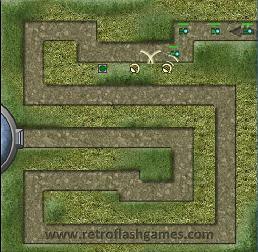 If you are looking for excitement and more than a retro game you can a peak at flashplay.nl. We called our website retro flash games because all the retro arcade games on this website are online casual flash games in retro style.